Freeplay Magazine was born to fill the need of a large and active women’s endurance sports community. Freeplay is an independent magazine that shares inspirational stories about athletes, provides insight on industry fashion, travel and nutrition and well as highlights key industry news in endurance sports. The magazine sprang to life in 2010 on a flight from Maui to Sacramento, California. The need for the publication was so great that even with a first issue best described as a nice try, thousands of women sought out the second. Adventure Sports Journal is northern California’s number one resource for outdoor enthusiasts. Now in its fifth year of publication, each issue of ASJ inspires readers with articles about the people, places, events, year-round activities and adventure opportunities that make California and the West one of the richest, most spectacular and diverse regions in the world to live, visit, play and explore. 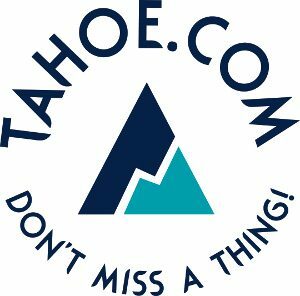 A few years ago, Tahoe Weekly adopted the new slogan “Capturing the Spirit of Tahoe & Truckee Since 1982.” That spirit means reflecting the indefinable force that draws each of us to the Tahoe-Truckee area; a spirit that is different for each of us. We have all enjoyed capturing a piece of that spirit in every issue of Tahoe Weekly for the last three decades, and we look forward to serving our readers and advertisers in the decades to come.